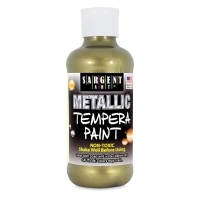 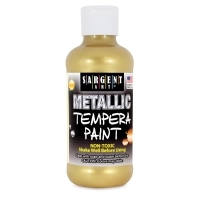 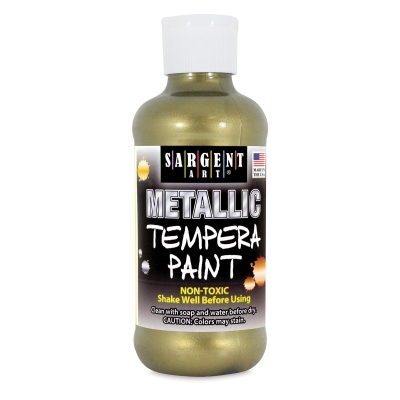 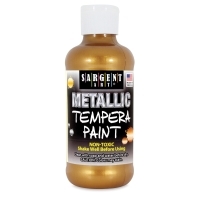 Sargent Art fine quality tempera paint creates rich, metallic faux and patina finishes on wood, paper or plastic. Durable see-thru 8 oz and 16 oz plastic bottles are ideal for finding the color you need and perfect for kids activities. 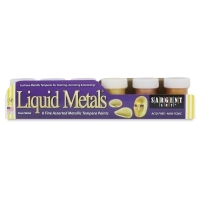 Set of 6 — This set contains one 3/4 oz jar each of Antique Gold, Aztec Gold, Bronze, Copper, Gold, and Silver.